Specialising in the trimming and the removal of large trees which are threatening property, Joel and his team will work safely and quickly to remove the tree and will ensure that no property is damaged while the work is being carried out. Our team are fully insured and keep up to date with the ever-changing laws in regards to tree lopping, tree removal and stump grinding on the Gold Coast. 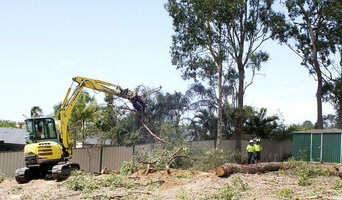 Arborist Services - Tree Lopping, Removal and Trimming Gold Coast Tree Service brings experience and professional arborist services to home and business owners along the coast. With over 15 years experience, we promise to take care of your tree work safely and to leave your garden clear of debris and ready to enjoy. Not only are we the most affordable, we believe in top customer service too. Our arborist tree services include tree removal, tree lopping, power line clearance, trimming and pruning, stump grinding and mulching. We run a 24 hour emergency service, and can undertake a storm season risk assessment to ensure your property is fully prepared when bad weather arrives. We also offer health-checks for trees and can provide treatment and advice to improve their vigor and overall health. Whether you have a sick or dying tree, or simply want to allow more sunlight into your garden and property, we'll provide you with a free quote and advice. No job is too big, too small, or too challenging. Give us a call today! If you’re looking for expert tree services Brisbane and Gold Coast, TreeSafe is your solution. We help you find out what the best approach is to tackle your tree problem all in one go. Our company is built upon the foundation of honesty and integrity with the aim to have your interests at heart at all times. We only recommend solutions which are practical, cost-effective, and efficient even if it means suggesting a cheaper solution to get the job done the way it should be done. We’ve been around for decades and have experience and qualifications under our belt. Unlike many of our competitors, we ensure quality work with a customer satisfaction guarantee backed with the right equipment to do the job efficiently and safely. Check out the tree services we have to offer in Brisbane and Gold Coast as well as Brisbane Southside, Logan, Beenleigh and Beaudesert (Scenic Rim). King Landscape Solutions was established in 1970 here on the Gold Coast. We are a family run business dedicated to providing professional tree care solutions without compromise our intention is creating safe, enjoyable communities by providing long term environmental solutions. We offer years of experience and knowledge to assist our clients find the right tree solution for their requirements. From small jobs to large scale projects we are the experts and we are always happy to help. Unlike many other suppliers, we offer a full range arboriculture services including tree supply and planting, tree transplanting, trimming and pruning, root barrier installation and ongoing maintenance services for both corporate and residential clients. We also offer wholesale solutions. 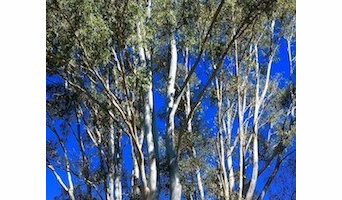 We supply trees both here on the Gold Coast, across South East Queensland and Northern New South Wales; and we can also deliver our trees Australia wide. Our team are fully qualified aborists with a focus on safety and quality of service every time. Our tree farm is set on over 30 acres on the Gold Coast and our trees are always of the highest quality, giving us the confidence to provide a guarantee. King Landscapes proudly support Breast Cancer research and have been involved in charities such as the Bushfire Appeal, Tsunami Appeal and the Tour Duchenne. Dentures at Varsity is a leading Gold Coast denture clinic, specialising in full and partial dentures, relines, chrome dentures, repairs and custom mouth guards. For outstanding dental products at affordable prices, call us on (07) 5593 0749. Our Company has been built on a commitment to provide the highest possible levels of service, professionalism and quality workmanship. M & M Arborist Services is committed to providing a safe workplace for our staff and the general public. We have in place approved Occupational Health and Safety procedures and we carry $20 million Public Liability insurance. We are members of the Queensland Arboricultural Association Inc. As a long-standing professional tree servicing company, M & M Arborist Services will only embark on a tree felling or cutting job with the consent of the appropriate local Government regulatory body. We have the staff and equipment to take on large and small jobs. In a property services area that has attracted many pop-up operators, M & M Arborist Services has stood out as the company that is guaranteed to turn up to every quoted job, on time, every time. If hampered by wet weather, contact is made ASAP to ensure the job is re-booked at the earliest possible time. M & M Arborist Services is a Gold Coast, locally owned and operated business, with Managing Director, Martin Corbett involved in all aspects of the business. Martin has lived on the Gold Coast for over 30 years and has 15 sound years tree industry experience. South East Queensland's Leading Tree Experts! 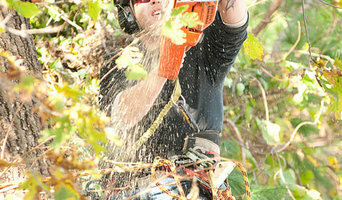 JC Tree Services, Your Gold Coast Tree Removal Experts. If you have a tree problem JC Tree Services can solve it, providing Gold Coast tree services you can rely on. Our team of qualified and fully insured arborists can help not only with sound and accurate advice about tree work, but expertly do your tree removal. With 31 years’ experience in the industry, business owner Jez has worked in high profile gardens including Buckingham Palace and a number of Royal Parks around London. 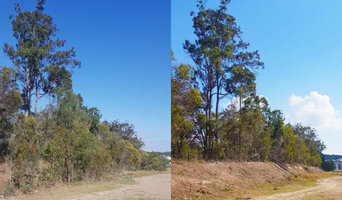 Serving a large area in the Gold Coast, northern NSW and South Brisbane and out to the scenic rim, JC Tree Services can be called out for emergencies 24 hours a day. Our commitment is to keep you and your community safe around the clock, whether your tree concern is big or small. From palm tree removal to pruning, stump grinding to storm callouts, get in touch with JC Tree Services! Our Mission Sparta aims to provide a highly competitive service in all aspects of tree care and client service. Sparta aims to deliver a service that exceeds the customer’s expectations. Sparta will provide sound advice and a responsive, reliable and efficient service. Sparta will ensure the health and safety of our personnel. Sparta will build long-term client relationships by keeping clients well informed of progress on the job and treating them with respect, trust and understanding. Fully Insured Sparta has comprehensive insurance underwritten by Vero Insurance, giving us public liability insurance to protect you and your property as well as the health and well being of Sparta Staff. Our Tree Lopping Logan Co team is dedicated to two details: helping keep trees healthy and our satisfied clients. What sets us apart from other tree lopping & removal companies is greater than just our years of tree services expertise, our top-notch equipment, or our locations across this great area. Our tree service team in Logan approach all of these points. Our group of exceptionally educated, expert arborists and tree service technicians, aren’t just dedicated to doing their work, they are committed to presenting a service that benefits our clients and the outdoors. It’s also precisely why we provide speedy tree lopping and tree removal quotes, a whole lot more convenient for you. Treezy - Your Local Brisbane Southside Expert Arborists Treezy has become the go-to professional tree services company for residents of Brisbane's Southside. With a reputation for delivering a high standard of customer service combined with innovative new ideas and technologies and a commitment to safety it's easy to see why Treezy's customers rate Treezy as being the highest in customer satisfaction in the industry. Whether it's a consultation with one of our friendly and highly trained Arborists for tree pruning, tree lopping, tree removals or anything else, our staff will be able to assist you with getting all of your trees looking their best. Rest assured that we are fully covered by Work Cover and Public Liability insurance in the unlikely event of injury or property damage. Call or email one of our consultants today to book in your Free quotation. Whether you’re planning a new garden or landscaping an existing one, an arborist can also advise you on the best tree selection for your Gold Coast, Queensland environment, assist in planting, and can provide you with a long-term maintenance plan. Furthermore, they can help you diagnose any insect problems or diseases threatening existing plants in your yard. If you want to relocate a tree, an expert in arboriculture can give you advice on what it will need to flourish, and will replant it accordingly. Other services include hedge and shrub trimming, tree pruning and mulching. Tree contractors and arborists in Gold Coast may work in conjunction with landscaping professionals to create a seamless design. Here are some related professionals and vendors to complement the work of arborists & tree services: Landscape Contractors & Gardeners, Landscape Architects & Designers, Garden & Landscape Supplies.